For people who handle their own blogs and websites, Search Engine Optimization is a hugely important thing. If you've been handling the website for years or just started, you need to stay on top of SEO if you want to get the search engine traffic that will drive visitors to your site. Like in any other category, SEO apps are meant to make your life easier, especially if you don't have time to be wasting worrying about if your SEO practices are good enough. 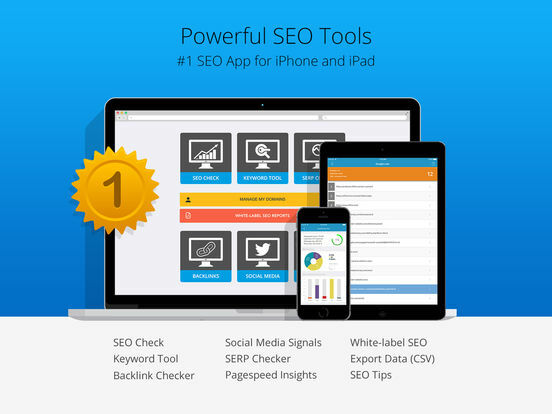 Have a look at our best iPhone apps for SEO. 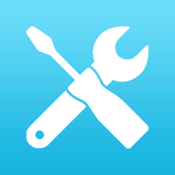 SEO Pro is an app with many great tools to help improve our search engine rankings. Some of these advanced tools include On-Page SEO Check, Backlink Checker, Keyword Tool, SERP checker, Page speed Insights, SEO Score, Full Analytics, SERP Checker, Pagespeed Insights and so much more. SEO Pro has a wonderful interface which makes it easy to view and access all of this valuable information. This app has some core features in the free version. To access all of the features, you will need to upgrade to the Pro Version via in-app purchases for a monthly or annual subscriptions. SERP Checker allows users to check their keyword rankings in Google for over 100 different countries. Enter in the keyword, and your web site, then see where you rank according in Google Search results. It’s very easy to use and quick to navigate. 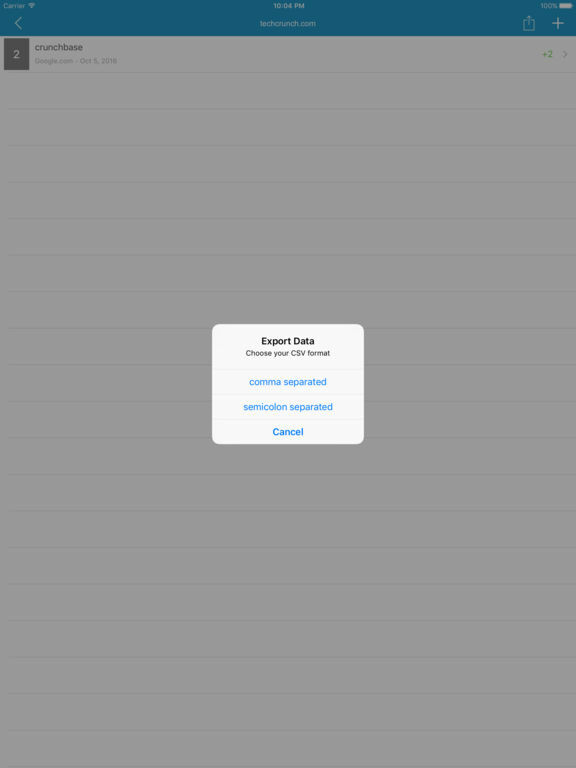 You can export the data to CSV format for further analysis. 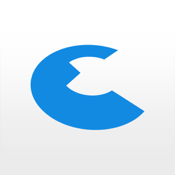 This app offers core features, but requires an in-app purchase to upgrade to the Pro version and get access to all of the app’s cool features and functions. Use this app to submit your blog to the top search engines and blog aggregators. The developers have made it a very easy and simple app to use. Just enter your website or blog URL, the title of your website or blog and tap ‘GO’. In two minutes, the submission project is completed. However, you will have to wait until the search engines or blog aggregators approve your site. There’s no guarantee of approval or how long it will take to be accepted. It’s based on each individual source. You will be able to view which services accept your submission once approved. 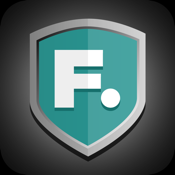 Found SEO Tool is a free app from Found. It offers you a top-line synopsis of the problems you will need to address in order to maximize the SEO value of your website and to rank higher than your competitors in the search listings. The app looks at a website and identifies common SEO errors or potential areas that could affect its crawlability or rankings. 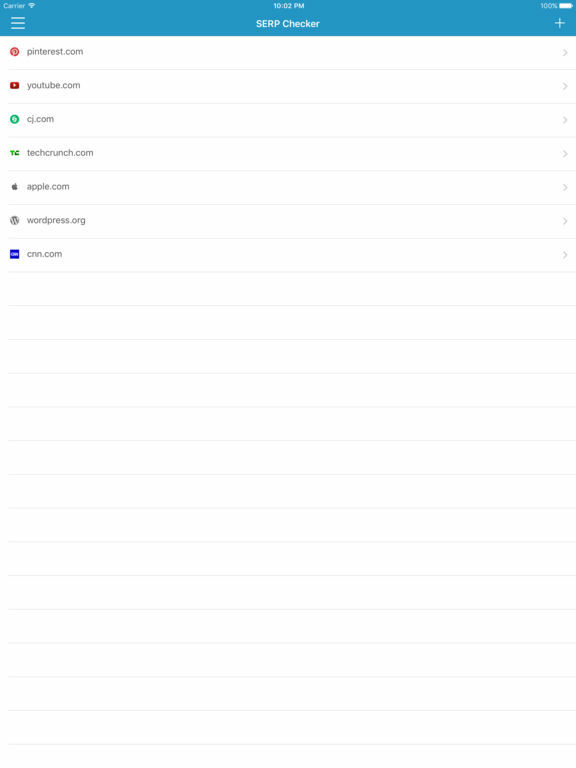 Just type in the URL of the website you want to analyze and the app will do the rest. Three main areas that are covered include technical issues, content issues, and external link analysis. 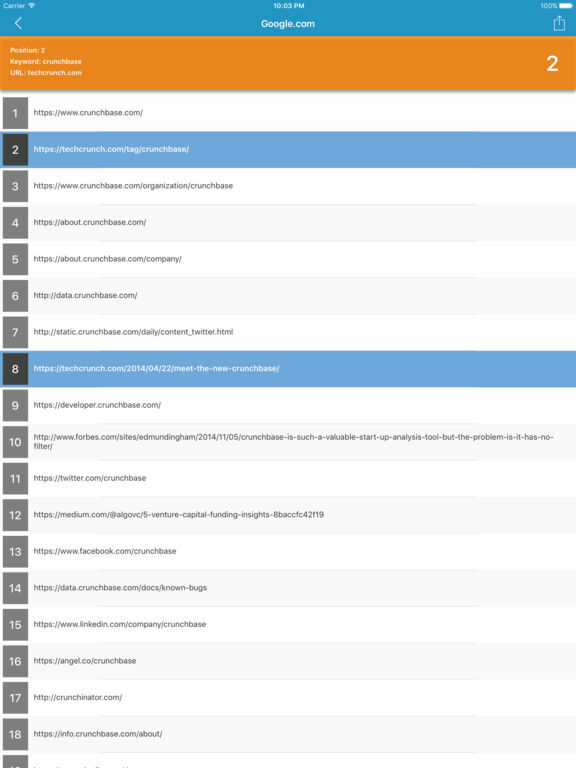 Some of the tool features include header check, on-page link analysis, keywords analysis, and XML sitemap check. 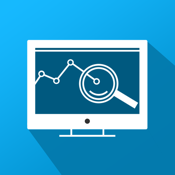 SEO Edge lets you easily monitor your website or blog's search engine ranking for any keywords. The app uses real Google Search for the most accurate results possible. Features include the ability to perform country-specific searches, backup and restore databases using iTunes File Sharing, show PageRank, Alexa, and Backlinks for each website, and sort keywords alphabetically, manually, or by rankings. The Pro version includes unlimited keywords and profiles, keyword result export into a CSV file, and ranking export into a CSV file. You can also sync iCloud data across up to five devices. 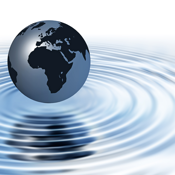 iWebmaster Tools helps you optimize your website and grow your business. You'll get a free diib account that gives you access to coaching, business growth tools, and support. The app provides you with an SEO report, domain info, Alexa stats, social media analytics, indexed pages, and a directory listings checker. You also get access to the new E-learning center where you can download workshops like WordPress SEO for beginners, Email Marketing List Building, and Social Media Plan of Attack. Other workshops include Internet Marketing A to Z and SEO Starter Guide. 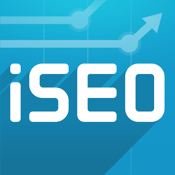 iSEO makes it easy to track your SEO progress. 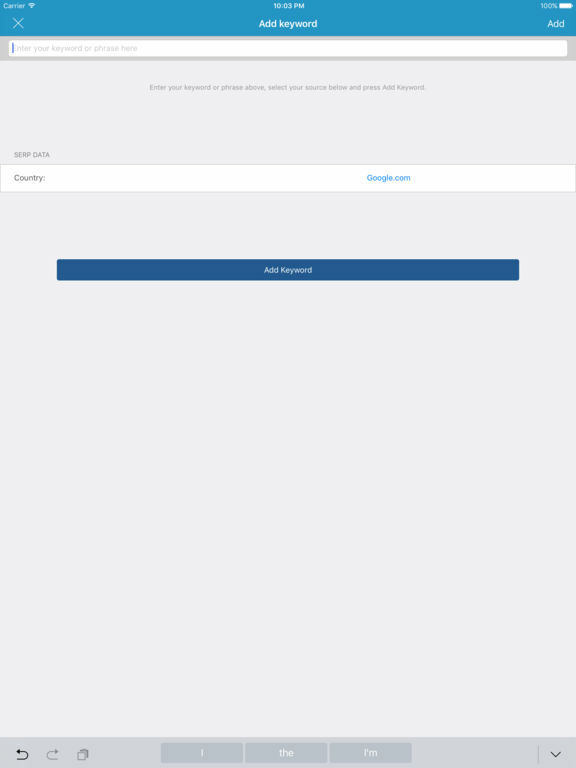 The app is simple to use, intuitive, and allows you to enter an unlimited number of domains. All of your historical data is kept in one spot so it's easy to find and view. Save snapshots of your SEO statistics and compare it going by timestamps. See stats on: Alexa rank and average load time, Blekko backlinks, Google backlinks, Google pagerank, DMOZ, Twitter mentions, Facebook likes, and more. Find out details on link popularity, MajesticSEO backlinks, Bing indexed pages, Yahoo! Dir, and directory inclusions. 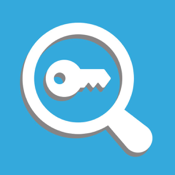 Keyword Tool doesn't require you to sign up to use its services. You can get all of the insights you need from phrases and keywords: look at search volume, suggested keywords, competition, and more. Features of the app include the ability to check domain availability, get search volume, get suggested keywords, add and save keywords, and get average cost per click (CPC). 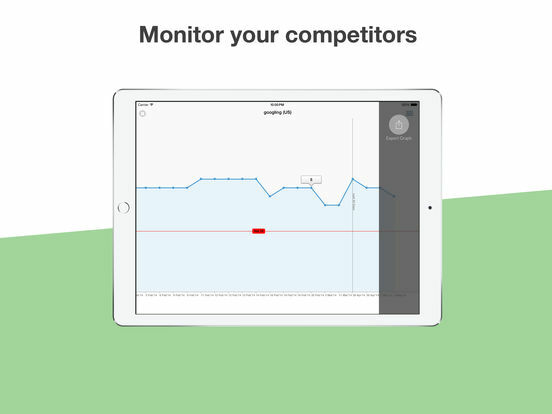 The app is free to download and use; there is an in-app purchase to upgrade to Pro, which gives you unlimited keyword searches, 12-month historical keyword data, keywords competition with difficulty score, and keyword CPC data. There are two subscription levels: you can buy by the month or by the year. Woopra is a customer analytics service that will help you analyze, track, and take action on customer data. You'll be able to see, in real time, exactly what users are doing on your website. 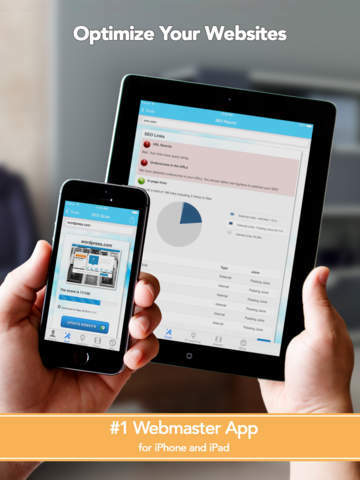 You will always have the data you need for meetings, be able to access every Customer Profile using your phone, keep track of campaigns while on the move, receive notifications of important activity, and see your personalized dashboard all from your iPhone. The new app allows you to leave your desk and go wherever you need to, without worrying about missing out on seeing important data or feedback. 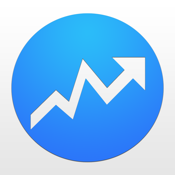 Quicklytics is a fast, easy way to check on your Google Analytics account. 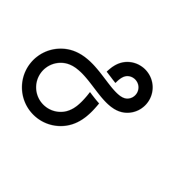 The app supports unlimited Google Analytics accounts and unlimited sites per account. 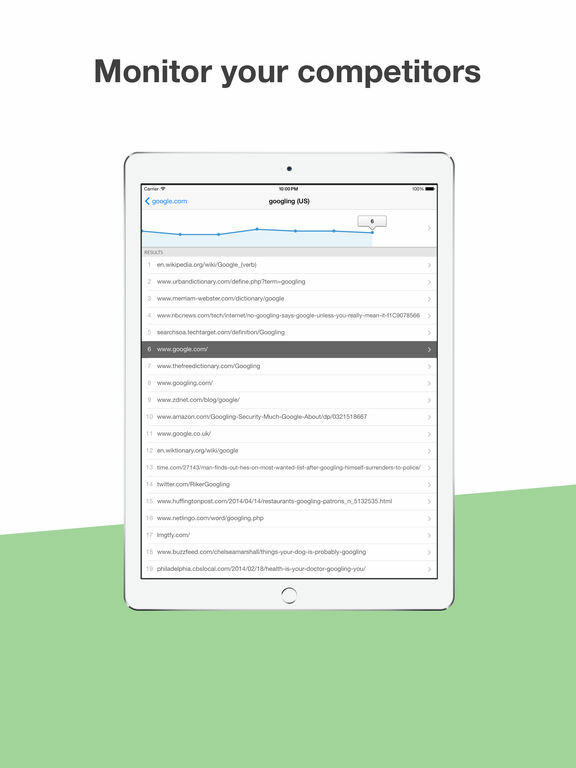 At a glance, you'll be able to see average pageviews, bounce rate, and number of pageviews. Touch the chart to see more metrics like visitor reports, sources reports, content reports, goals reports, and E-commerce reports. Use the results of one report to filter values for other reports and quickly understand different traffic patterns on your site. 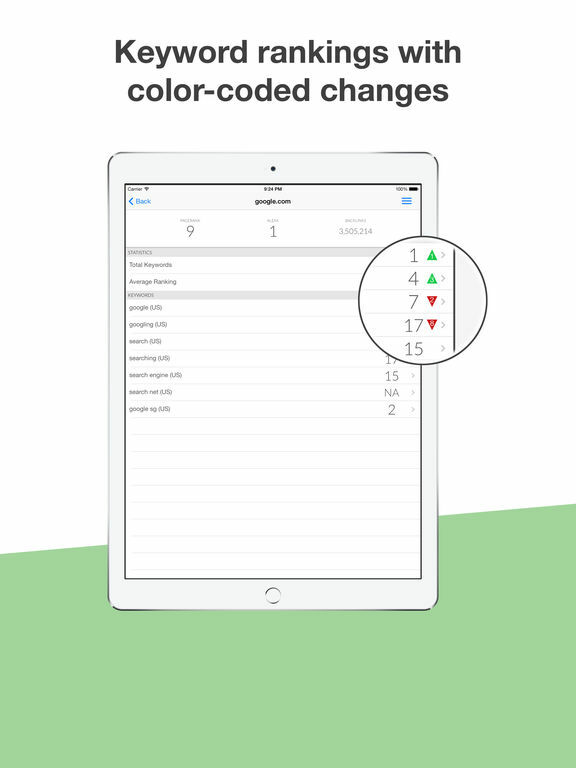 This app will revolutionize the way you see your stats on a day-to-day basis.